A Universe of Opportunities for Your AHP Career is available on the e-Learning for Healthcare website and focuses on the range of development opportunities open to AHPs, covering eight potential areas for career progression. Clinical, management/leadership, research, education, digital transformation, entrepreneurship, public health and fellowships. 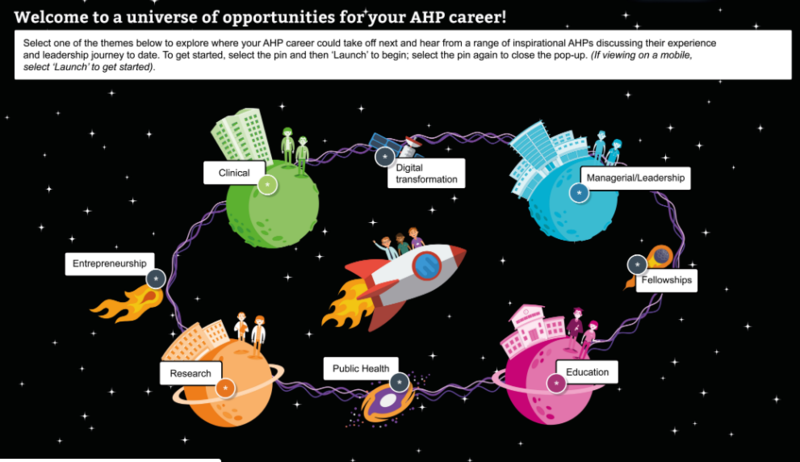 For each of the eight areas, the resource includes an overview of the opportunities with useful resources and links, alongside a series of talking heads from across the AHP professions.